This board was used exclusively with the SCPH-7000 series of consoles. Above is the diagram for the PU-20. The diagram isn’t the cleanest so I’d like to clarify a few points that are unclear. 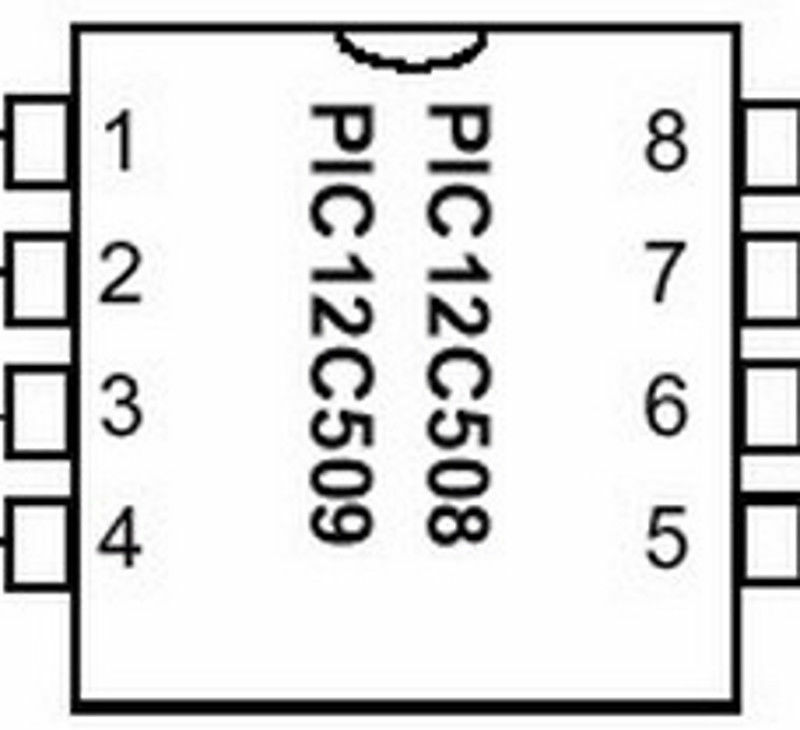 Pin six connects to the bottom left most leg of that chip, and pin five connects to the pad to the left of the white line on the board. Pin four connects to the right side of the capacitor, which is the topmost component in that spot. The second pin connects to the bottom leg of the right side of that chip. Be careful not to use too much solder, or you might connect two legs of the chip together. Here are some tips I have for you when you are soldering your chip into the PU-20. Placing the chip where the pin eight circle is seems to be the ideal location. 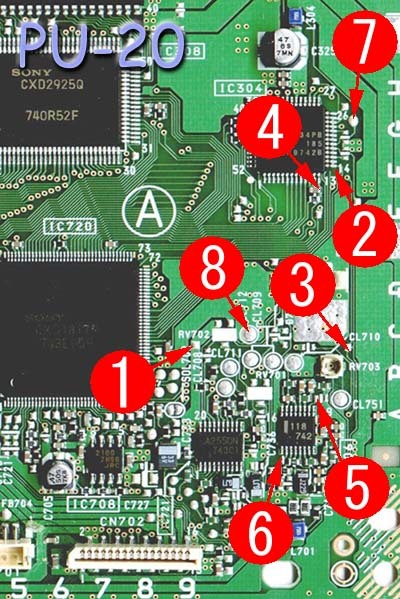 Be careful when soldering to pin four, if you apply too much solder, or press too hard, you may knock a component off of the board, or bridge the connection with nearby points. When soldering to pin six be careful, you don’t want to apply too much solder and bridge nearby pins on the chip.